There’s a memorable short sci-fi story, Nightfall, by Isaac Asimov, written in 1941, about a world where the presence of six sun means that true darkness has never been known in living memory. Puzzling evidence that civilization has risen and disappeared in a cyclical fashion, has seeded the idea that something is revealed in those rare moments of darkness when all suns disappear from view, that causes psychological disturbance – a mass hysteria – so profound that it leads to the collapse of all culture. All knowledge disappears, and things have to start again from scratch . So people start to speculate that contrary to their deeply ingrained beliefs, their solar system is not alone, and there might … be other suns! Perhaps, they suggest, seeing this shocking truth causes people’s whole world view to collapse in a catastrophic way. We read this slightly smugly, because we know that there are not just a few stars, but many. Yet the Hubble, in its short life, has been able to multiply the known universe to mind boggling numbers. We now routinely hear astronomers talk of ‘billions of galaxies, each containing billions of stars’. And even more dramatically, we all get to see the pictures for ourselves. The Hubble is our Nightfall! And ironically, most people live in cities whose glow blocks all but a few stars at night. Compared to Galileo, our night skies are empty. 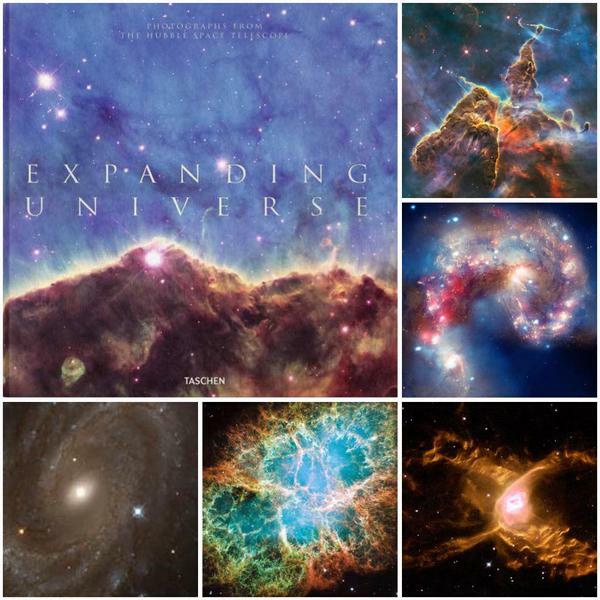 So I strongly recommend this beautiful book (Expanding Universe. 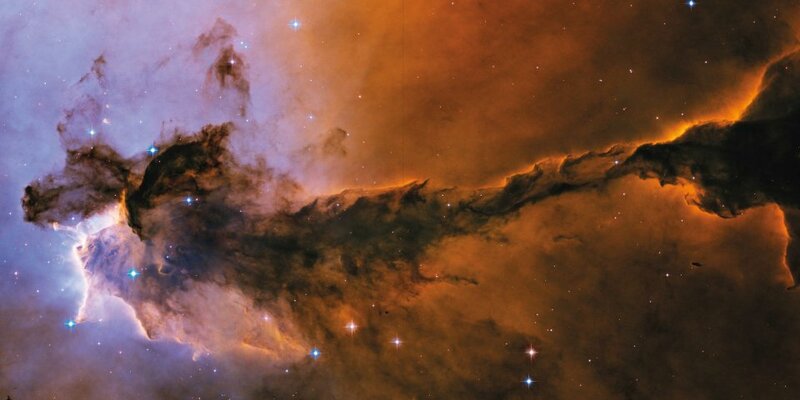 Photographs from the Hubble Space Telescope) published by Taschen, who are perhaps fittingly that better known for aesthetics than for science. Hubble pictures are all around us, in the newspapers, or in ‘pictures of the day’ from NASA, but I think it’s a joy to sit and just look at these large, high quality images that no-one in the history of the world has had the privilege to see before. Size does matter when it comes to images of the universe! And it also feels important for me to be able to sit and contemplate our universe and our (inifinitesimally small) place in it, and perhaps absorb and practise a little more humility in my day-to-day life. The book is organized in sections that start closer to home in the solar system, our view of which has also changed markedly with Hubble (as well as the travelling robotic probes such as Voyager). So we have photographs of planets, moons and comets, before we move out to the Milky Way, mere thousands of light years away, and continue until we are billions of light years from home (how casually we speak of such numbers). Although most of the book consists of Hubble images, there is some text, but (rightly) not too much, and what there is is in English, French and German. A section at the back interviews Zoltan Levay, Head of Imaging, and asks amongst other things about the coloration, because these are in one sense false colour images: the wavelengths used to generate the images are greater than the narrow wavelengths we see, so there needs to be some conversion. The colours used are not random, and relate to our vision, but I think it’s important to know that there has been a transformation. Perhaps it’s that processing that contributes to an eery similarity to psychedelic sci-fi paintings such as those that graced prog rock albums in the 1970s! At £30 from Amazon, this book costs more than you might normally spend on a book, but for the universe, it’s a snip!